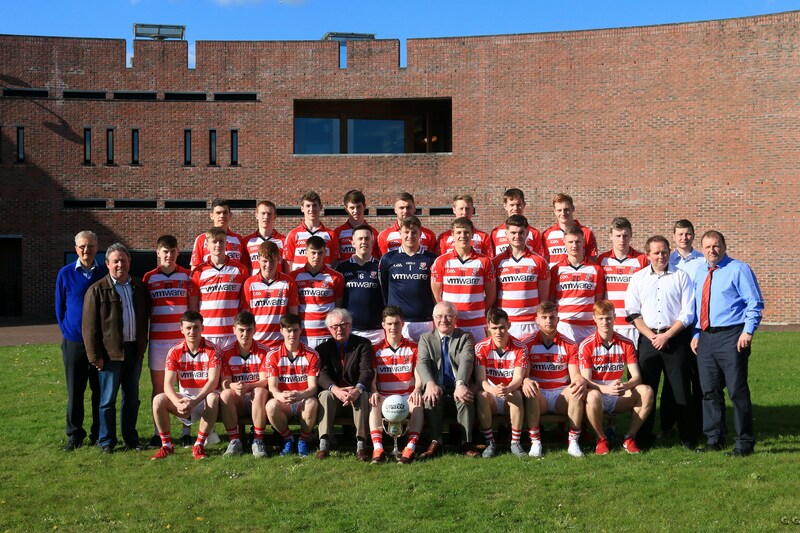 CIT Student GAA Club and the wider community. Time to kick off another year! A big welcome to all the freshers who are registering on campus this week. 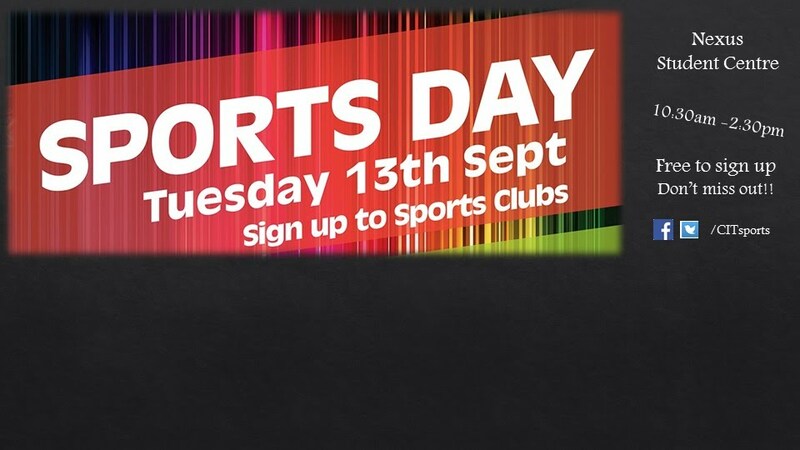 Date for your diary- Tuesday 13th September-Sports Sign Up Day. Stands will be open from 10.30am-2.30pm in the Nexus, Student Centre. There will be stands from all the sports club in CIT there on the day, including ourselves from the CIT Student GAA Club. Make sure you sign up to find out about upcoming training times & team info. 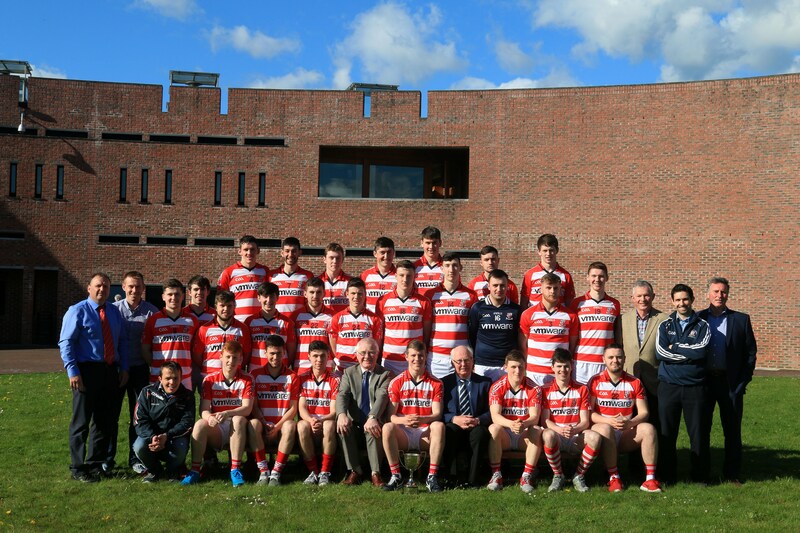 Another successful year for CIT Student GAA Club! Congrats to the following teams who took home silverware this year! Another great year in CIT Student GAA Club! Some great photos from the Independent.ie Freshers Div. 1 Final which was held in CIT on Thursday 3rd March. CIT came out on top over DCU in a great match! Photographs courtesy of Eddie O'Hare. The CIT Ladies Footballers will face St. Patrick's College in the upcoming Giles Cup on the 11th March, hosted by IT Tralee. If successful the girls will face either IT Carlow or MICL in the Giles Cup Final on the 12th March. Thursday 3rd March at 4pm in CIT Sports Stadium. CIT will face DCU in what promises to be a great match! CIT played host to the Independent.ie Fitzgibbon Cup Weekend on the 26th & 27th February. 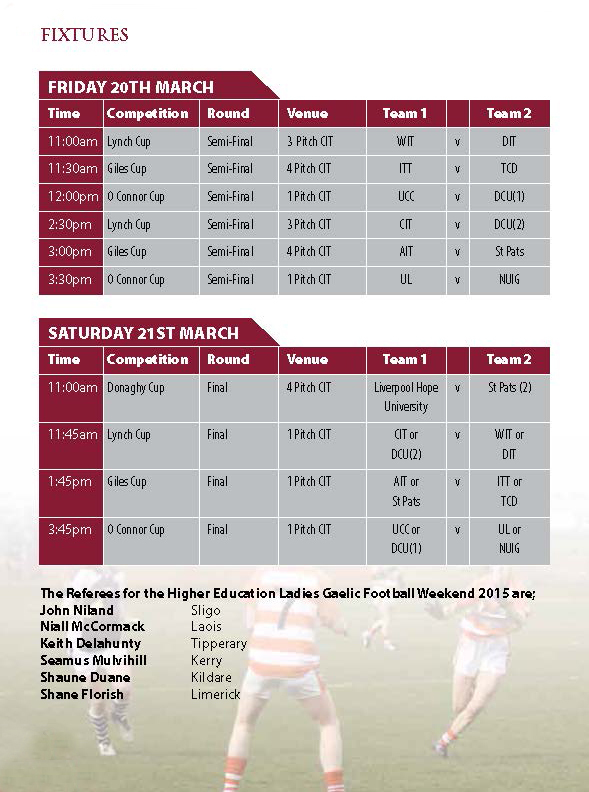 With no Cork Colleges competing in the finals weekend, focus was on Limerick and the three Colleges- UL, MICL & LIT. The final showdown for the Fitzgibbon Cup was between UL & MICL, in a gripping 100 minute final that went to extra- extra time before MICL came out on top to win their first Fitzgibbon Cup. The Institute's senior camogie team travelled to Gort on Sunday to take on Division 1 finalist NUIM in the final of the Purcell Cup. While emotion was high all afternoon, it reached a maximum when CIT Captain Jacinta Crowley, before lifting the cup, dedicated the win to our beloved bus driver Seamus McCarthy who passed away earlier this year while driving this team back from a league game in Waterford. The tribute was matched by a fantastic team performance when they outplayed Maynooth right throughout the 60 minutes to win on a scoreline of 1:12 to 0:04. Recreation and Leisure 1st student Katlynn Hickey was awarded Player of the Match. 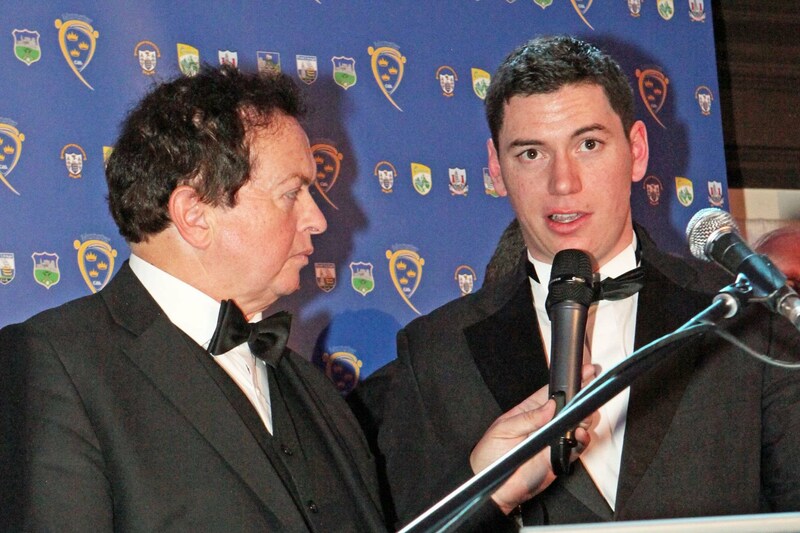 Huge congrats to John 'Bubbles' O’Dwyer who was awarded Senior Hurler of Year 2015 at the Munster GAA Awards Gala Dinner which took place on Saturday, December 12th in Dromoland Castle, Co. Clare. 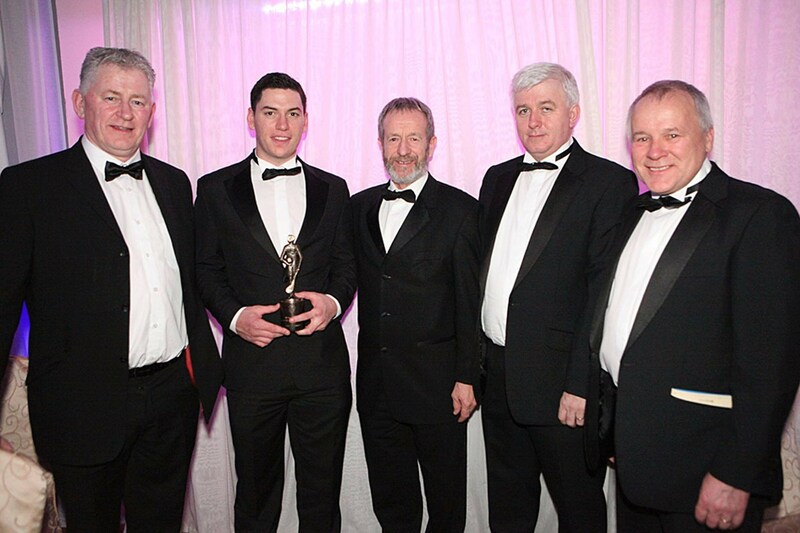 Congrats from all at CIT Student GAA Club! 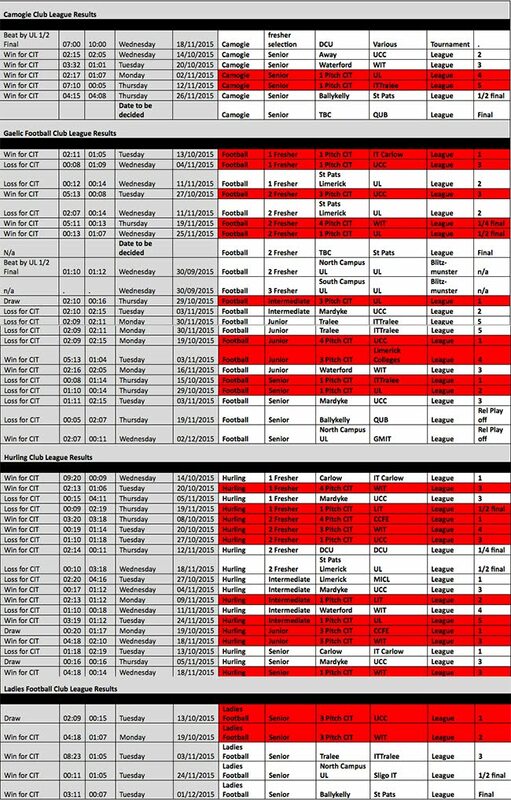 · The following dates and fixtures for all competitions are indicative and subject to change. Full fixtures (including Intermediate & Fresher championships) will be circulated before the weekend. · Extra-Time if necessary in all knock-out fixtures. Two ten minute periods of extra time, followed by if necessary an additional two periods of 5 mins if necessary – Special Regulations for Semi-Finals. 1. DIT 2. UL 3. NUIG 4. Mary I.
Independent.ie Ryan Cup 2016 Two groups. Top 2 teams in each group qualify for semi-finals. With the Championship Draws taking place in Croke Park tomorrow, all of our 12 teams will be keeping an eye on who they will be facing in their various knockout competitions which commence at the end of January. There will be a special interest in the Hurling Intervarsity Draw, as CIT have been chosen to host the 2016 Independent.ie Fitzgibbon, Ryan and Fergal Meagher Cup weekend, scheduled for the 26th and 27th of February. We will endeavour, as always, to keep you up to date with all the up and coming Higher Education GAA fixtures as soon as we know. The officers and members of the CIT Student GAA Club have been delighted with the unprecedented numbers that have turned out to play for their Institute this year. Each club is made up of a cohort of Student Officers and volunteers who organise the affairs of their various teams and provide a coaching and management structure for each panel. All of the various units have been very proactive to date and will be coming together once again after the exams and right throughout the month of January to prepare for their respective competitions. Aristotle is reputed to have said that 'Excellence is never an accident. It is always the result of high intention, sincere effort, and intelligent execution;…. it represents the wise choice of many alternatives - choice, not chance, determines your destiny’. I would like therefore, to take this opportunity to wish each of the teams the very best of luck in their attempts to attain excellence and, on behalf of all the members of the CIT GAA Club, to thank all the Academic and Administrative staff in facilitating so many students represent their Institute at Gaelic Games. Wishing you all the very best during the festive season. It is with deep regret we announce the death of a dear friend and CIT Student GAA Club member, Mr Seamus McCarthy. Seamus was a great friend to CIT Student GAA Club having travelled the country to countless matches and tournaments with teams since 1995. His loss will be greatly felt by the many staff members and countless numbers of CIT students who have had the pleasure of dealing with him over the years. Our deepest sympathies to his wife Alice and the McCarthy family on their sad loss. 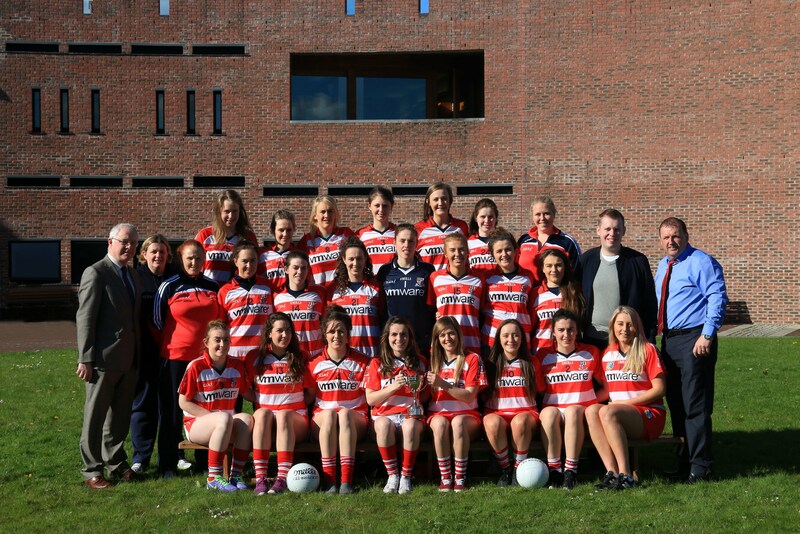 CIT Ladies Football Team which captured the Higher Education Division 2 League Curran Cup yesterday evening (01/12/15). The team had a convincing win over St Patricks Dromcondra on a score line of 3:11 to 0:07. CIT Student GAA Club would like to congratulate staff members Irene Hogan, Christine Nolan and Norma Buckley, graduate Sandra Conroy and club members Denis Lordan and Niall O Mahony on masterminding this year’s successful league campaign. Having already steered the ladies footballers to a division 3 league title last year, this seasons success means that the Institute will be back playing in Division 1 for the 2016/17 academic year after an absence of several years. 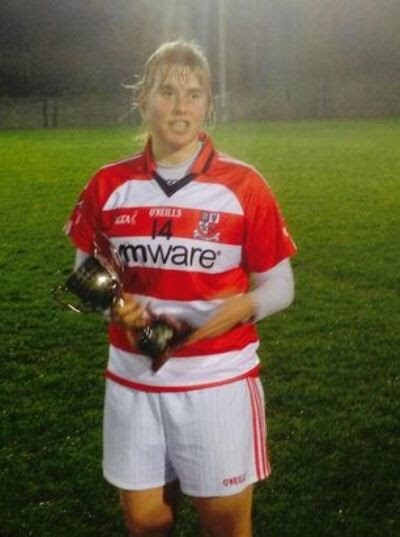 Interestingly the last time CIT won the Curran Cup was the 1999/2000 academic year when the then little unknown Ms Juliet Murphy (who went on to win 8 Senior All Ireland Titles with Cork) played midfield on that team. Last night in Ballykelly GFC in Co. Kildare, the same Juliet Murphy rolled back the years lining out once again in the middle of the park and in process notched up an impressive 1:05 during the hour. Back as a MA Arts (Research) student, her influence with the younger girls has been immense. The CIT team was jointly captained by Jess O Shea and Aoife Walsh, both 4th year Business Studies Students from Inch Rovers. Well done to the Cork Ladies Gaelic Football Team who captured their 10th All-Ireland senior crown in 11 years yesterday (27.09.15) by recording a two point win over Dublin in the All Ireland Senior Ladies Football Championship Final. Played before 31,083 supporters (a European record attendance for a female sporting event) the Rebelettes epitomised hard work and team spirit to see off a very determined Dublin outfit, winning 0:12 to 0:10. 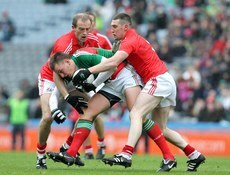 CIT graduate Annie (Annamaria) Walsh (BBus Hon 2007), played a significant role yesterday for Cork at midfield. Annie was chairperson of the CIT Ladies Football club during her time here, as well as being a recipient of the CIT Sports Bursary and a winner of a CIT Sports Award for her contribution to the sport here at the Institute. 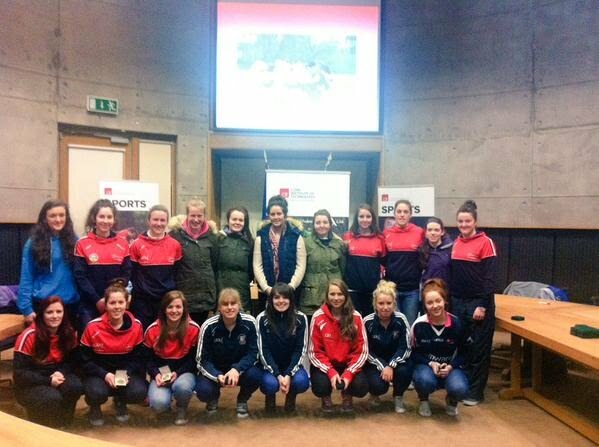 More recent graduate and CIT Bursary recipient Emma Farmer (BBus Hon 2015) was also a member of the Cork squad as was current students Jessica O Shea (Yr 4 Business Studies and current Chairperson of the CIT LGFA Club) and Sinead Cotter (Yr 3 Biomedical Engineering). CIT Student GAA Club would like to congratulate these former and present outstanding CIT Student Athletes, and indeed applaud all those involved in this remarkable success story. 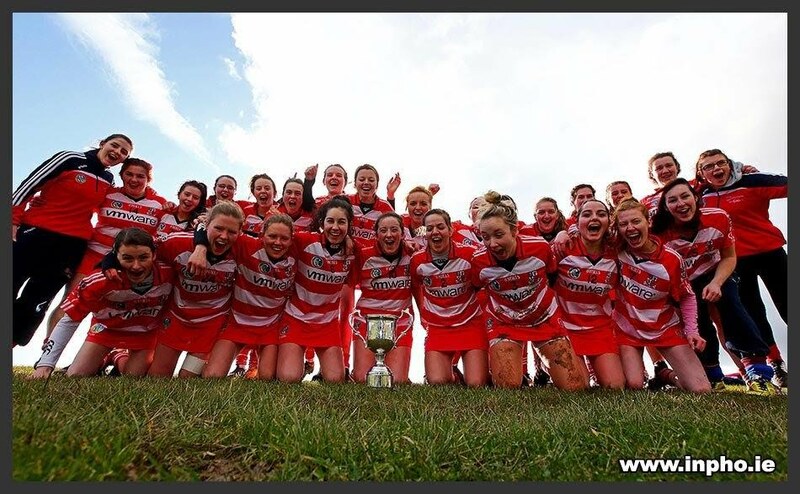 We would also like to congratulate Mary Kate Morrissey, (currently studying Social Care here at CIT) who was a member of the Waterford Team that captured the All Ireland Intermediate Title yesterday. Many thanks to all who signed up yesterday to all the GAA Teams. The management of teams will be in touch later this week/early next week regarding trainings. Training will start the week of the 21st. Keep an eye on the Chaplaincy's weekly newsletter- the 'What's On' for training schedules. We had another busy year here in the CIT Student GAA Club. A full round up of the year can be found in our annual report. 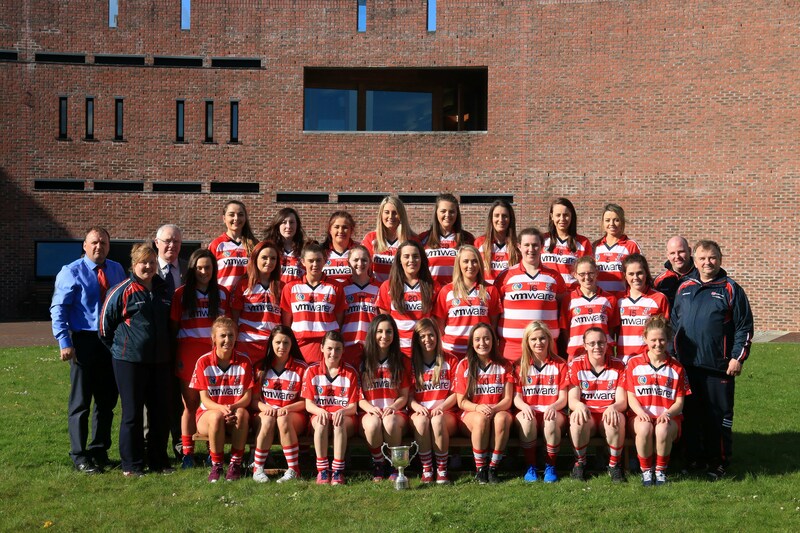 The CIT Student GAA Club wish to congratulate all those involved with the Cork Senior Camogie Team who captured the O Duffy Cup yesterday in Croke Park yesterday (13/09/15) after a well fought match against Galway. In particular we are delighted for Graduates Eimear O Sullivan (BBus Hons 2009) and Sarah Buckley (BBus Hon 2014) who both were very active members of the CIT Camogie Club during their time here. Apart for being former recipients of CIT Sports Bursaries they were also very committed club officers. We also wish to congratulate current first year Recreation and Leisure students Katelyn Hickey and Amy Lee who were part of the successful Cork Panel yesterday. Yesterday’s victory was particularly pleasing as this Cork Team were based at the CIT Sports Stadium for the last number of months. Indeed those of us who saw them train and prepare can attest to the huge effort and levels of commitment that these young sportswomen give in pursuit of ultimate championship success. We are also aware that many of these young players would have come through the successful Cork Camogie Coaching Development Programme which our colleague and camogie stalwart Miriam Deasy has been an integral part of. The CIT Student GAA Club wish to congratulate brothers Michael and Colin Fennelly, both graduates of CIT, on their success in recapturing the Liam McCarthy Cup. Michael (BBus (Hons) Business 2007), who is a recent recipient of the CIT Sports Graduate Achievement Award and his younger brother Colin (Bachelor of Science (Hons.) Construction Management), both played Fitzgibbon Cup and County Championship Hurling for CIT during their time here at the Institute. It should also be noted that Ger Aylward, who studied here with FAS Plumbing (Phase 4) in 2012 and played Fresher Hurling with the club, yesterday picked up his first All-Ireland while his team mate Jackie Tyrrell, who graduated from Construction Studies at CIT in 2004, picked up his 9th All Ireland Medal. The top young GAA players in the country were honoured last night (16/09/15) at the Independent.ie HE GAA Rising Stars awards in Croke Park. The awards were presented by Uachtarán CLG Aogán O Fearghail and Ger Kevillie (Sports Editor Independent.ie). Uachtarán CLG Aogán O Fearghail congratulated the players selected on their achievement and acknowledged the contribution of the families and university clubs in their development: “The players are at the centre of our Association and it is important to acknowledge these young players’ achievements and performances during this year’s Independent.ie Higher Education Competitions. The support they have received from their families and team mentors will have played a big role in their careers on and off the field." Ger Keville (Sports Editor Independent.ie) said: “On behalf of Independent.ie, we are delighted to be sponsors of the Higher Education Championships. The young stars who participate are the very players who will grace the Croke Park pitch on All Ireland Final days and we are privileged to be part of that. 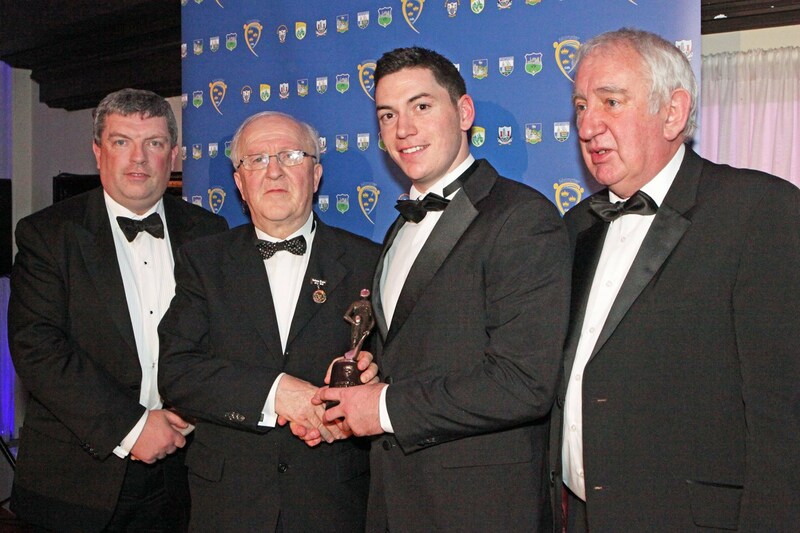 Huge congratulations to Cian Buckley (Cork IT/Cork) who received a Rising Stars Award for Hurling. Cork Institute of Technology and the Irish Examiner will form the strong Cork backdrop to this years O’Connor Cup Weekend. CIT was named host last January and the Irish Examiner was announced as title sponsors for the O’Connor Cup with the O’Connor Cup weekend, which will now be known as ‘The Irish Examiner O’Connor Cup.’ The tournament is the biggest competition in Third Level Ladies Football and features the culmination of the four college’s competition, which will take place over two days. Taking place in the superb surrounds of CIT at the weekend over 600 players and team managements will travel to Cork to compete in the four championship divisions. The Donaghy Cup, Lagan Cup, Giles Cup and O’Connor Cups will take place across the two days of competition in CIT Bishhopstown Campus. The semi finals of the Lagan, Giles and O’Connor Cups will take place on Friday 20th March with the finals, along with that of the Donaghy Cup will take place on Saturday 21st March. The University of Limerick will defend their Irish Examiner O’Connor Cup title when they meet NUI Galway on Friday at 3:30pm and the winner will go on to face the winner of the earlier semi final between the University College Cork and Dublin City University. All 4 teams will feature some very big name players with the likes of Sarah Rowe, Laura McEnaney, Olivia Divilly, Niamh O’Dea, Tracey Leonard, Roisin Phelan, and Orlagh Farmer competing for their colleges. There will be deferred coverage of the Irish Examiner O’Connor Cup final on TG4 from 7.15pm. In the Giles Cup the defending champions St. Patrick’s College will get the defence of their title underway when they meet the Athlone Institute of Technology in the semi final whilst IT Tralee will meet TCD in the other semi final. There will be loads of local interest in the Lynch Cup as host college, CIT meet DCU in their semi final with DIT and WIT meeting in the earlier semi final. The Lynch Cup final will get the action underway on Saturday at 11:45pm and will be followed by the Giles Cup Final at 1:45pm with the big one, the Irish Examiner O’Connor Cup taking place at 3:45pm. The Independent.ie Higher Education GAA Hurling Championships Weekend was launched this morning on the campus of the host venue, Limerick Institute of Technology. 2015 sees the tenth anniversary of the Limerick’s Institutes first triumph in the competition (2005) and first hosting of the event, which is also the last year the Higher Education competition finals visited Shannonside. 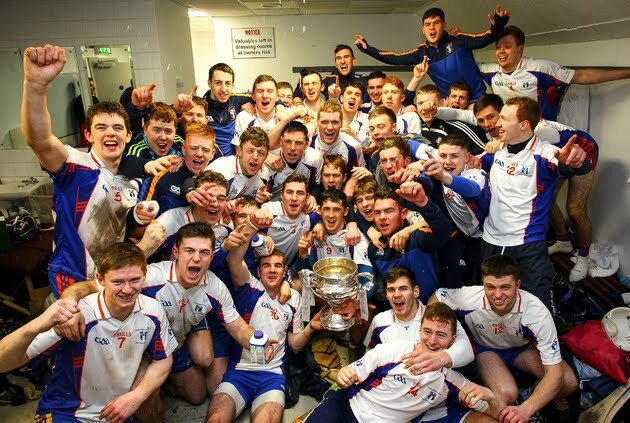 The semi-final of the prestigious Independent.ie Fitzgibbon Cup will be hosted at the Moylish campus on Friday, February 27, with the final venue (February 28) to be confirmed. In addition, Limerick Institute of Technology will also host the Independent.ie sponsored Ryan and Fergal Maher Cups, a total of six semi-finals on Friday and three finals on Saturday, as well as the Corn Padraig MacDiarmada final on the Friday of what promises to be fantastic weekend of Hurling. Pictured at the launch, representing CIT Student GAA Club is John 'Bubbles' O'Dwyer. Congratulations to the CIT Ladies Football Team who received their Division 3 All-Ireland League winners medals at last nights Ladies Third Level Higher Education Championship Draw. Congratulations to the Intermediate Hurlers on winning the All-Ireland Hurling League Final on Wednesday night. Congratulations to the Ladies Senior Football Team on Capturing the Division 3 Championship. SUPPORT THE CIT GAA CLUB!! FOR LESS THAN €2 A WEEK YOU CAN BE IN WITH A CHANCE TO WIN SOME GREAT PRIZES!! At the end of October the draws for both September and October will take place. In response to some queries, you can pay by cash or cheque on a monthly basis, or in full. Payment can also be made by direct debit. Alternatively you can join online at www.corkgaadraw.ie and selecting CIT as your club.